By Spencer. Back in July, I boldly predicted that the Oscar race was already over: Boyhood would be winning the Best Picture trophy, end of story. But the media has a funny way of making a horse race where there is none. And so what started out as an early victory lap for Boyhood—the near unanimous picture of the year among the film critic circles—has now found room for a late charge from Birdman. It’s a fascinating contest, because the two movies are so very different from one another: a subtle, realistic, and heartwarming character piece about the wonders of ordinary life versus a biting, surrealistic, and somewhat disturbing satire about the horrors of celebrity. If you follow the momentum trackers in the entertainment media, Birdman has been steadily gaining on Boyhood in the last few weeks. Will the upset happen? We’ll get to that. 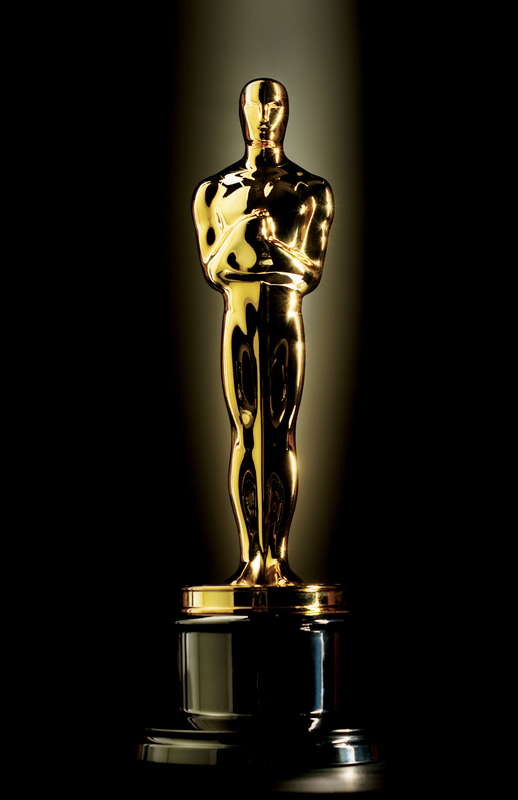 First, S&N’s pick for who will win (and who should win) the top Oscar categories on Sunday. In any other year, I would have loved to reward Emma Stone. In the scene in Birdman where she tears Michael Keaton apart for thinking he’s even remotely special in a world full of nobodies, she wears her emotions on her face like a series of shedding masks: first angry, then ashamed, then concerned for the damage she may have done. My first thought on watching that scene was, “Oscar-worthy.” But Emma picked the wrong year to be this good, because Patricia Arquette simply has to win the trophy for her 12-year performance as a single, working mom in Boyhood. It’s not a flashy role, but it’s subtle, it’s real, and it’s the linchpin of a movie that was supposed to be about a boy, but says even more about the people who raise him. This one’s already a done deal. And deservedly so. If there’s any movie on the list of Best Picture contenders that didn’t earn the attention it should have, it’s Whiplash. The acting is pitch-perfect, and the story is a powerful parable about the lengths one must go to in achieving greatness—and whether it’s worth it. Simmons steals the show as the abusive teacher who pushes a young jazz drummer past the point of sanity. In ways, this is the opposite of Arquette’s performance in Boyhood; he’s all bombast and energy, threatening to explode at any moment in a mushroom cloud of obscenities and physical violence. It’s a meaty role, and it’s the pinnacle of a long string of terrific performances from one of our most underappreciated character actors. No drama in this category either. The trophy belongs to Simmons. With all due respect to Julianne Moore, I’m sure she gave a stunning performance—in a movie I have zero interest in watching. So I’m going in another direction and giving my nod to Rosamund Pike, whose star-making turn in Gone Girl was one we’ll remember long past the point when Still Alice has become the answer to a trivia question. In general, I think Gone Girl didn’t get the Oscar praise it deserved—especially when two slots were left empty in the Best Picture category—and I’d like to see it rewarded somewhere. This one’s the biggest lock of the night. And let’s face it, pretty much everything Julianne Moore does deserves an Oscar. So I won’t be disappointed at all to see her on the podium on Sunday. This is a two-way race between Keaton and Redmayne. They both won Golden Globes for their roles, and Redmayne was the conventional wisdom pick until a few weeks ago. Now the race is even money. And if I had a vote, I’d narrowly give it to Keaton. Redmayne’s physical acting is impressive, but there’s so much more emotional complexity to what Keaton does. He has to express multiple emotions at the same time, convey the constant battle between falling apart and keeping it together, and veer back and forth between reality and fantasy on a dime—all while navigating the whirling camera movements of director Alejandro Inarritu. This seems like his moment. I could toss a coin. Keaton’s got the comeback story. But my bet is that Oscar voters stay conservative on this one and reward the more conventional role. Birdman was just too weird for many viewers, while The Theory Of Everything is practically tailor-made to court the Oscar. This is an intriguing race, because it’s about two diametrically-opposed philosophies of directing. A vote for Innaritu undoubtedly rewards the best camera work of these nominees; he films in extremely long takes, digitally woven together so that the entire movie seems like a single two-hour shot. The camera never stops moving, spinning around its actors, following them down hallways, and all the while veering back and forth from the real to the surreal without blinking. The result is something completely new. And let’s face it, camera work is what most moviephiles think of when they think of the best directors. Linklater’s work in Boyhood is more subtle; it’s a movie constructed entirely around dialogue, and so the camera work is very minimalist, staying mostly out of the way so that the actors can work. A vote for Linklater is a vote for the other things a director does: concept, composition, pacing, tone, and not the least importantly, coaxing the right performance from your actors. There’s no right or wrong answer to this choice. It all depends on what you want to reward. My guess is that the Academy goes with the flashier choice. Innaritu does what so many directors going all the way back to Hitchcock have aspired to: creating one seamless picture without any cuts. That technical achievement will be too irresistible for the voters to pass up. American Sniper didn’t interest me in the least. We’ve seen that movie before, and I think we’re at the point where no one has anything new to say about the Iraq War—not until we’ve had the benefit of a few more years hindsight. I’m a huge Wes Anderson fan, but The Grand Budapest Hotel was not the picture of his that we should be rewarding; it’s beautiful to look at, but it’s also emotionally remote and dull. The Imitation Game, Selma, and The Theory Of Everything were all solid pictures, but too conventional; each of them will be forgotten five years from now. I absolutely loved Whiplash, but it’s a small picture, and Oscar doesn’t reward this kind of smallness. And Birdman was a complex and rewarding technical achievement, but I’m a little fatigued from self-congratulatory movies about the pains of moviemaking. I think it’s clear by now how I feel about Boyhood. It’s the best picture I’ve seen in years, so naturally, it’s the Best Picture I saw this year. The late charge from Birdman has been impressive. I was skeptical when I saw it, figuring it to be just another one of those movies that’s weird for the sake of being weird. It’s not. It has a lot of intelligent things to say about art, popularity, and fame in the age of social media. It’s steeped in powerful irony, and though it constantly flirts with darkness, it never quite loses its comedic touch. But will Oscar voters give the top trophy to a movie this unconventional? Not when there’s a movie like Boyhood on the list: a movie that captures life with a realism that nobody in film history has ever accomplished. The risk involved in making this film, and the fact that it actually worked, will put Boyhood over the top.